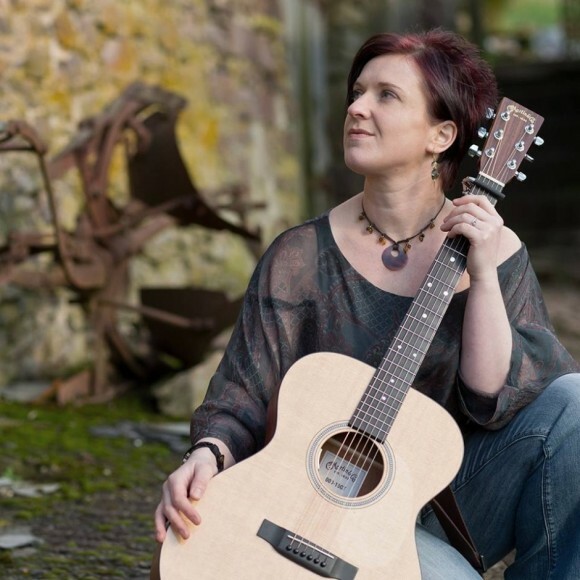 BBC Radio 2 Folk Award nominee Ange Hardy, a folk singer and songwriter from West Somerset, performs original contemporary songs written in a traditional style with an emphasis on vocal harmony. In 2014 Mike Harding referred to Ange as “one of the bright stars of the new wave of folk singers”. She received FATEA Magazine’s Female Vocalist of the Year award in January 2014 following the release of her debut folk album Bare Foot Folk. Her 2014 album The Lament of The Black Sheep was subsequently awarded 5-stars by The Telegraph, which put it at the top of their Best Folk Music Albums of 2014. In January 2015 the album won the FATEA ‘Album of the Year 2014’ award. It reached no.1 Hottest Folk Release in the Amazon download charts in September 2014 and received universal acclaim from fans, reviewers and radio presenters alike. Ange brings a level of honesty and openness to the stage that is a refreshing as it is disarming. Her focus on vocal harmony and her pitch-perfect vocal talent has led her toward adopting a live-looping pedal; a digital tape-recorder at her feet that allows her to record and play back layers of vocal harmony live from the stage. In doing so she brings her talent as a recording artist to a live performance, adding an extra dimension to an already captivating stage presence. In 2015 Ange is focusing her efforts on researching and performing a new body of musical work based on the life and work of the romantic poet Samuel Taylor Coleridge.